Habitat - Rich woods, streambanks, swamp forests, lake margins. 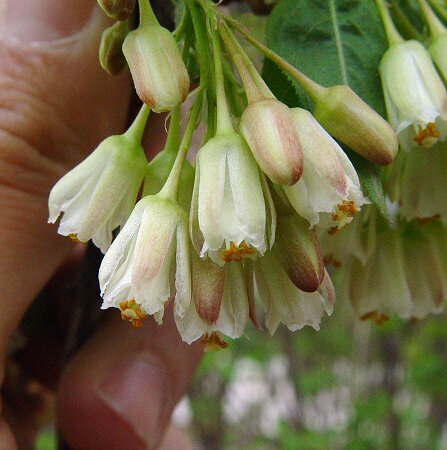 Other information - This attractive shrub can be found mainly in the northern half of Alabama. 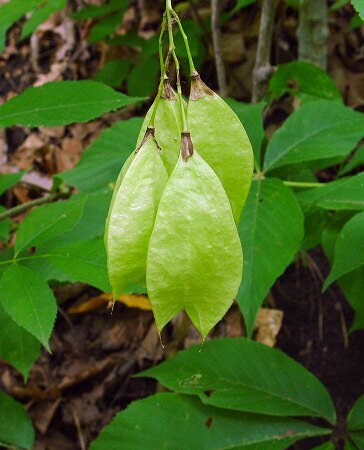 The plant can be identified by its opposite, trifoliate leaves and inflated fruits. 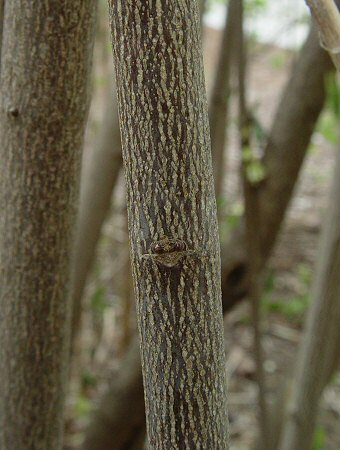 This is a shrubby species but plants in the south can get large with trunks to 15cm in diameter. 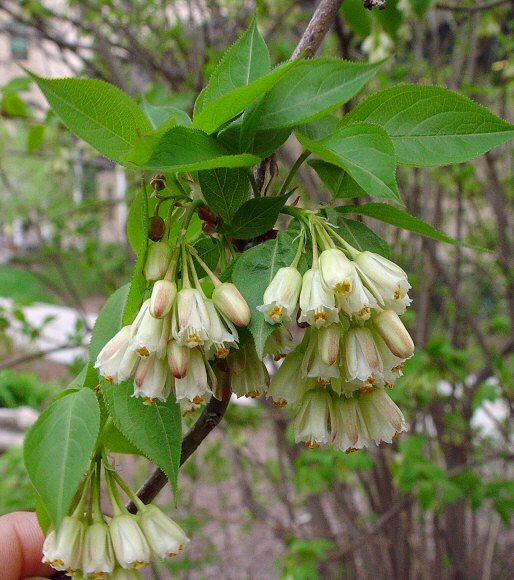 The genus name Staphylea derives from the Greek "staphyl" meaning "a bunch of grapes" or "a cluster" referring to the flowers. The species epithet derives from the Latin "tri" meaning "three" and "foli" meaning "a leaf" referring to the three leaflets of each leaf. Photographs taken in Columbia, MO., 4-15-04 and 5-22-04.